Ravens Owner on Ray Rice Video: "We Should Have Seen It Earlier"
Baltimore Ravens owner Steve Bisciotti is apologizing to fans for not obtaining a shocking video that showed player Ray Rice punching his then-fiancee in an elevator, and for not taking action against Rice sooner. He is calling the video "violent and horrifying." The disturbing footage, taken Feb. 17 in an Atlantic City elevator, shows Rice punching then-fiancee Janay Palmer and knocking her unconscious before dragging her from the elevator. The running back was cut from the team Monday and indefinitely suspended from the NFL. In his letter to fans, posted on the Ravens' website, Bisciotti says the Monday morning meeting in which officials decided to remove Rice from the team was "relatively short." The decision to let Ray Rice go was unanimous. Seeing that video changed everything. We should have seen it earlier. We should have pursued our own investigation more vigorously. We didn't and we were wrong. The video was released on TMZ.com Monday, igniting a firestorm over the assault and drawing questions about whether the Ravens and the NFL should have been the ones to obtain the video. Bisciotti's letter details a timeline of events stemming from the assault, and attempts to explain why the team hadn't seen the elevator video or taken more severe action against Rice. Bisciotti writes that when news of the incident initially broke, Rice told Ravens representatives that he and Palmer had had too much to drink and hit each other in the elevator. Both Rice and Palmer were arrested, although charges were later dropped against Palmer. Bisciotti writes, "We then began our own process to discover as much as we could about what happened," which included speaking to the casino, police, an attorney representing both Rice and Palmer, and the prosecutor." 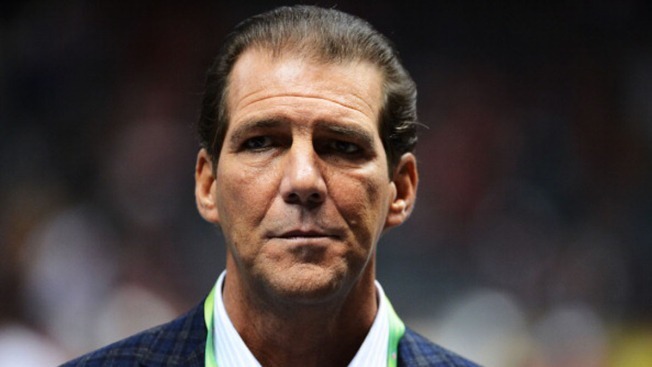 When an earlier video emerged, showing the exterior of the elevator as Rice dragged an unconscious Palmer into the hall, Bisciotti says that Ravens officials asked the casino if there was footage from inside the elevator. The casino refused to share it, as did the prosecutor and local police, he writes. Over the summer, the NFL suspended Rice for the first two games of the season. But Bisciotti says the Ravens decided to wait on taking action against Rice until the case went through the court system. That decision was made in March, when the charge against Rice was increased from simple assault to aggravated assault, Bisciotti says. That was also when the team stopped trying to get a copy of the video from inside the elevator. Bisciotti writes: "We halted our fact-finding. That was a mistake on our part." He apologized for letting down fans, and pointed to a new partnership with the House of Ruth as a way the team is now seeking to put a spotlight on domestic violence. The team is also offering an exchange for fans who own Ray Rice jerseys.